The Twitter account @evleaks is certainly one that appears to have connections in all the right places, and with a track record of leaking photos of unannounced smartphones that is currently unrivaled we're inclined to believe just about anything it tweets. That's why this latest Nexus 5 related tidbit has our attention well and truly piqued. The tweet also mentions the date of November 1st, which leads us to believe that this is the date that we will either see the Nexus 5 released or announced. 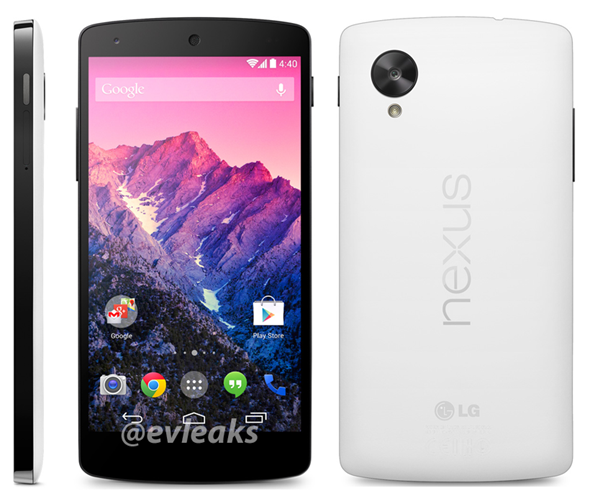 Unless Google and LG manage to have the smartphone available to for shipment on the same day, which we doubt somewhat.